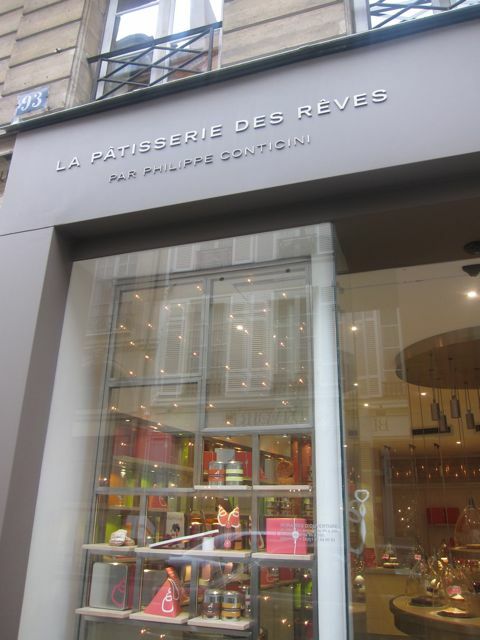 As today was a short day in school, I thought it would be worth venturing down the road on 93 Rue du Bac in the chic 7th district (right behind the Bon Marché) to Philippe Conticini’s pastry shop called La Pâtisserie des Rêves. I have seen the pastry shop on many blogs and on http://thecoolhunter.net, a culture and design website that I frequent daily. 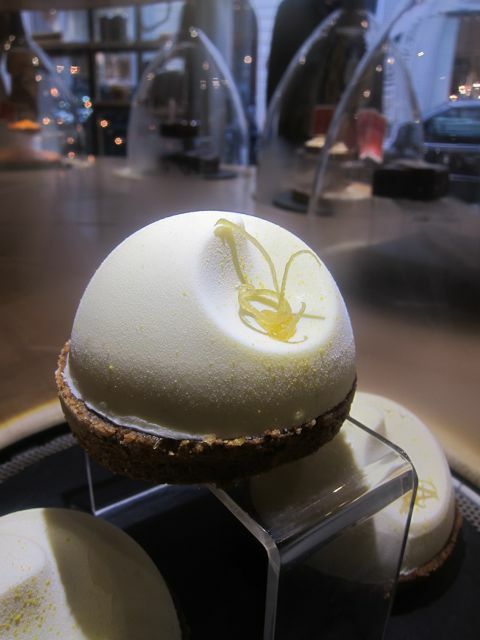 Philippe Conticini has a talent for creating desserts that are themselves a form of art. 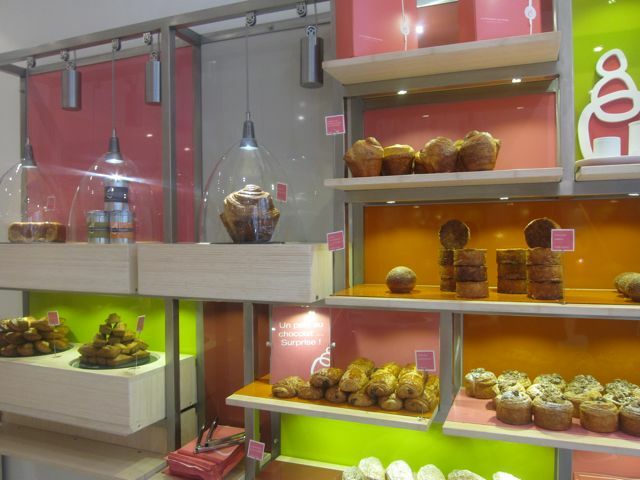 The small boutique’s design is very modern, fun and colorful that reminds you of a traditional konditorei. 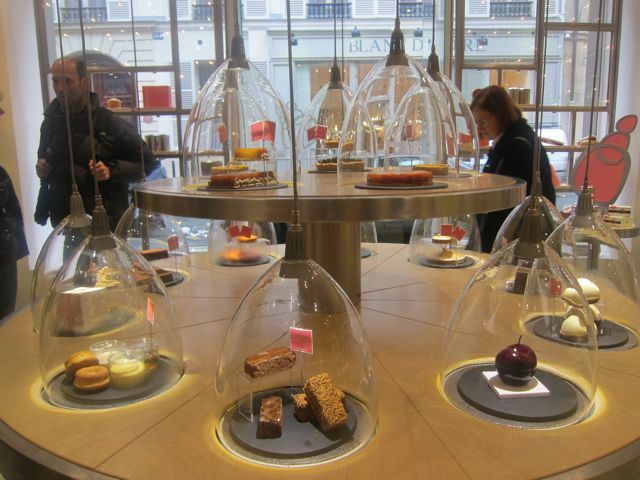 The desserts including cakes and pastries and chocolates are displayed in the center of the store on a round table and each of them is presented under a temperature controlled glass dome suspended from the ceiling. 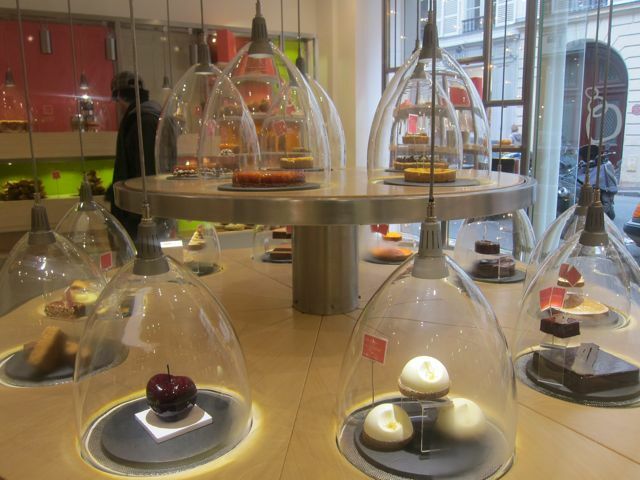 The domes make the desserts look like spaceships, or laboratory specimens. The desserts presented are a re-interpretation of traditional pastries including the Mille-Feuille, le Saint-Honoré, le Moka, la Tarte au Citron, and la Tarte Tatin among others. Prices are tagged accordingly and customers choose the dessert they would like to purchase (either whole or by piece) and the staff runs to the kitchen to retrieve the order. The magnificent little desserts are wrapped in a pink box which is then tied with ribbon. I ended up buying Le Fruitier below (inside are dates). Yum! 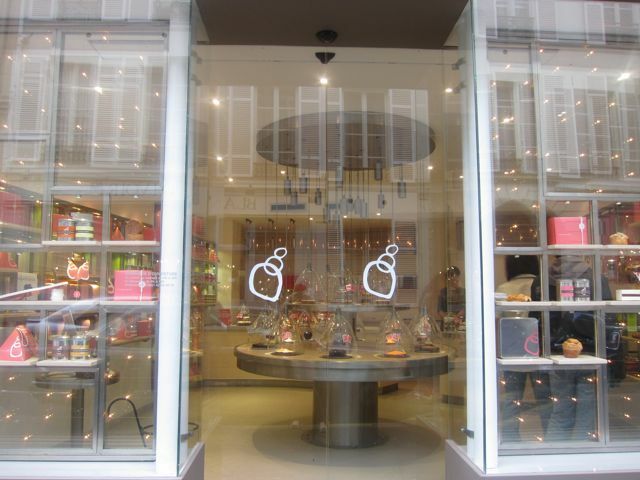 ….And an Eclair au chocolat of course! This struck me as beautiful in its design. 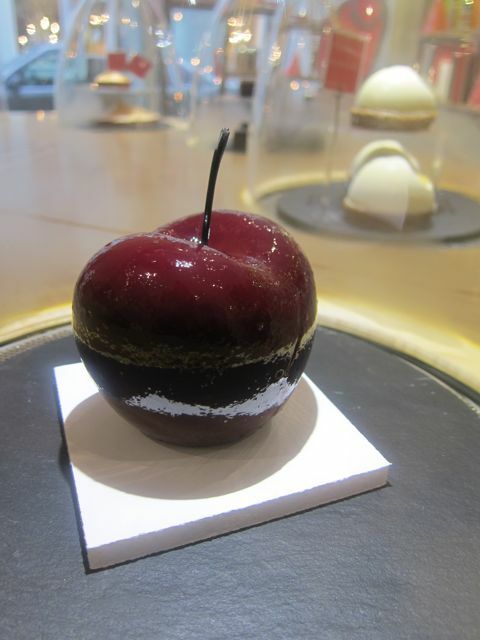 Conticini’s interpretation of a Black forest cake in the form of a cherry.